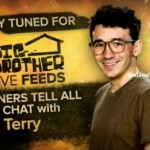 Big Brother Spoilers > Big Brother > Big Brother 16 > Summary of Ian Terry Live Chat – Winners Tell All! 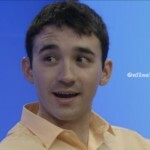 Hosted by Jeff Schroeder! 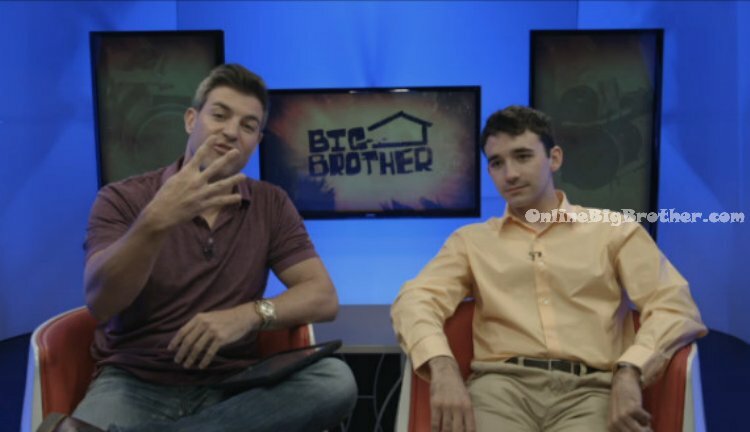 Continuing with the BB16 live feed bonus content that is available ONLY to the Live Feed Subscribers – we are now treated to our fourth “Winners Tell All” Live Chat event hosted by Jeff Schroeder. If you missed the first three “Winners Tell All” Live Chats they’re available on the live feeds to re-watch or you can read our summary of the Hayden Moss, Jordan Lloyd and Rachel Reilly live chats. 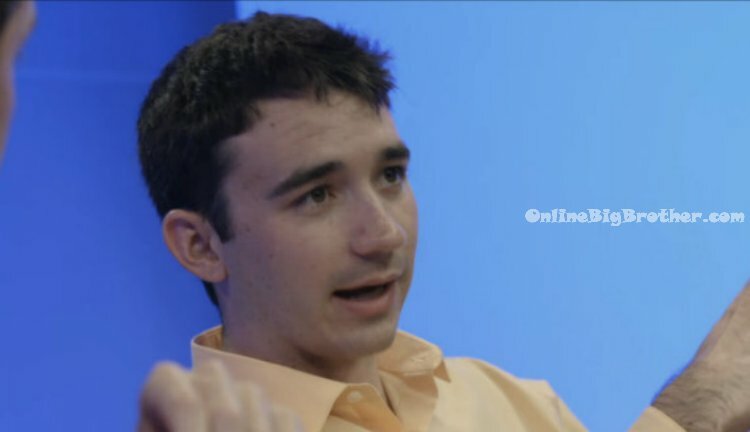 As with the other live chats this event is also hosted by former big brother house guest and fan favorite Jeff Schroeder who is interviewing Big Brother 14 Winner, Ian Terry. DON’T FORGET there are ONLY 5 DAYS left save 20% off the Live Feeds! 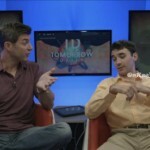 The Live Chat begins with Jeff Schroeder introducing Ian Terry and talking about what he has been up to since winning Big Brother 14. Jeff calls Ian the cutest guy ever! Ian says that he’s finished with school and says that he graduated back in December with his Chemical Engineering Degree. He says that he’s not using it right now but says he’s teaching Physics right now while living in Houston, TX. Jeff asks Ian if he is still single. Ian says yes. He says that this seasons girls are looking pretty hot. Ian talks about how he tried out for Big Brother when he was only 21. Jeff says and you’re the youngest person to ever win Big Brother. Ian says that he was shook when he went into the house and found out that someone was going home that first night. Ian talks about how he was really excited to have Mike Boogie Malin as his coach. Jeff asks if he had a feeling the coaches were going to enter the game? Ian says he had a feeling they would because there were empty key slots. 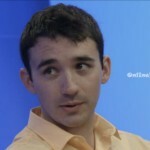 Jeff asks Ian what his thoughts were with taking Dan Gheesling over Danielle to the final 2. Ian says that he knew Danielle had a couple votes locked up. Jeff ask Ian if he feels he is one of the best players in the game since he beat one of the all time best players? Ian says no I don’t think I am. Ian predicts that if Hayden re-entered the house he would be the one that could win it twice. Jeff asks Ian what he did with his winnings. Ian says that he paid off his student loans since he owed a lot. He says that he also bought a BMW. Jeff comments on how he recently interviewed the new cast and says they are overwhelmingly not looking forward to slop but you loved it. Ian says being on slop got him in the best shape he had ever been in. Jeff asks Ian what his predictions would be for the new cast? 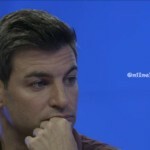 Ian says I would shy away from picking Zach or Cody – they’re the alpha males. They’re given a gift by having Devin in the house because he is huge. He will basically be a shield for the first week for them. Jeff says that Devin is a gentle giant. Jeff says that Donny might be the funniest guy that has ever played this game. America is going to fall in love with him. Ian says oh yeah book this guy tickets to the final 6! Jeff says he looks like a Duck Dynasty kind of guy. Jeff asks what about the ladies? Ian says that Nicole had some good things to say about me ..so … Hit me up! Ian says he would pick Cody, Zach, Donny and Joey are his picks to win Big Brother 16 ..in that order. Jeff says that he thinks Derrick or Frankie are his picks to win BB16. Ian says Derrick is a cop so he knows how to read people. Did you spend part of your winning on a hammock? Ian says no, my place isn’t big enough. What do you think of Frankie going into the house with both him and his sister having so many twitter followers? Ian says he is excited because big brother is about putting people from all different walks of life together … and celebrity is a walk of life. Jeff asks is it fare considering there’s an America’s vote? Ian says you have to use what you have. Do you think any of the new cast could be related to any former house guests? Ian says he hasn’t seen anything yet. If you were to be invited back for All-Stars two .. who would you want to work with? 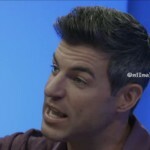 Ian says Frank Eudy, Jeff Schroeder, Rachel Reilly, Eric Stein. Jeff asks would you want to play against Dr. Will? Ian says yeah but I don’t think I could ever beat him. Are you still friends with Frank and Boogie? Ian says he talks to Boogie more but is still friends with both of them. Jeff asks where his glasses are? Ian says they’re still packed in boxes because he just moved. Ian says he only wore them in the house to look nerdy. What did you learn about yourself living in the house? Ian says that he learned lots and matured being in the house. I hope to go back with a few more grey hairs. What did you miss most from your normal life? Ian says sports. Do people see you and randomly quack at you? Ian says only right after the show did that happen. Do you think you could have won Big Brother 14 if Boogie hadn’t been your coach? Ian says no, just the way it shook out in the beginning. He gave really good advice. What do you think about the new twist this season? Ian says at first he wasn’t to hot on it but then after thinking about it he liked it. Ian says he wouldn’t want to win HOH if he was in the house because you have to nominate people and they might not even be up on the block by the end of the week. Ian says if he won HOH he would ask the other HOH who they want up on the block and then throw that person the HOH. What advice would you give to the new cast? Ian says the best bet is to keep your options open. Don’t burn bridges! Don’t be sassy with your nomination speeches. Always play humble! Go away Ian Terry I never liked you!